The Fun of Youth Sailing! Kids and sailboats go together like ducks and water! There are so many cool kid-friendly sailboats out there: Optimist prams, 420s, Lasers, Sunfish, Flying Scots, Open Bics, Hobie Cats, windsurfers, the list goes on and on. Sailing combines skill, dexterity, and a sharp mind to harness the wind and go where you want to go. No distractions, just some friends and the great outdoors. What’s So Great About It, Anyway? Sailing gets kids outdoors and gives them an understanding and respect for the environment; when you get kids out on the water, they care more about what’s in the water. After stressful days at school, sailing can be a wonderful release for many kids. They also gain independence and a sense of accomplishment. Sailing kids have to think about gear options, safety equipment, weather conditions, how to deal with other boats nearby, weight displacement, and wind shifts. All that problem solving and planning use a different part of the brain and help kids achieve a higher level of thinking. Doing something they’ve never done before opens their minds to new experiences, gives them a feeling of success, and feeds their selfconfidence. They also will make and keep new friends. But, enough of all that. Here’s your take-home message: learning to sail is fun. That’s what brings people back to the sport day after day. There’s something new to see, learn, and experience whenever you set sail. Just like sponges, kids soak everything up and learn fast. One parent says, “Billy has had such a great time. He didn’t think anything existed that was fun in the world except for Xbox and was horrified when I signed him up for a two-day sailing course. I went from being the world’s worst to the world’s best mother in two days. He had an amazing time and now wants to do more sailing. His sisters also had fun during the course; all three came home exhausted and happy at the end of each day.” SpinSheet loves to see kids sailing on the Bay, and we’d like to see many more of them. Sailing is something they can enjoy their entire lives. Here are some helpful tips to make that happen. Where To Start? 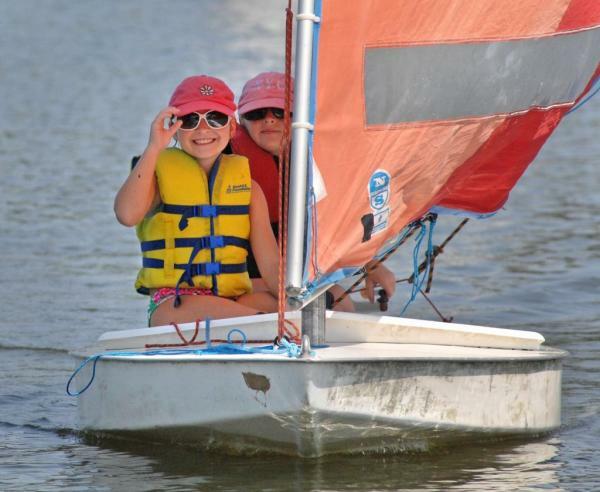 Bay sailing and boat clubs, sailing schools and centers, community sailing programs, yacht clubs, Chesapeake schooners, charitable organizations, public schools, and camps abound; they all offer sailing programs for kids. Talented coaches all over the Bay are waiting to pass on what they know and whisk kids into the sailing life. Whether it’s one-on-one, pair-based, or team-based instruction, the training opportunities are endless and cover all skill levels, from beginners hoping for some fun in the sun to serious racers with pro careers on their minds. One junior sailing coach says, “I became a teacher because of the sailing coaches I had as a kid at camp. I always watched how they taught me things, and when I started taking on the role as a junior instructor, I found the teaching aspect incredibly rewarding.” The junior page of the Chesapeake Bay Yacht Racing Association website (cbyra. org) is a good resource for clubs with youth programs, as is the Cruising Club Directory at spinsheet.com. Many clubs in Annapolis, Baltimore, Deltaville, Norfolk, and North East, among others, have informational website pages for juniors. One family says, “With three growing boys, it is always difficult to find something new to do. The five-day sailing and three-day catamaran courses that Thomas and Oliver attended have really fired their enthusiasm for sailing. The two older boys were both proud and exhilarated to be awarded their Level 2 status on a Cat, and I know that they learned a lot while having fun and getting very wet! The boys keep nagging me to buy them a dinghy; instead, we’re looking into joining a local sailing club.” Word of mouth is often the best way to find out about a program. 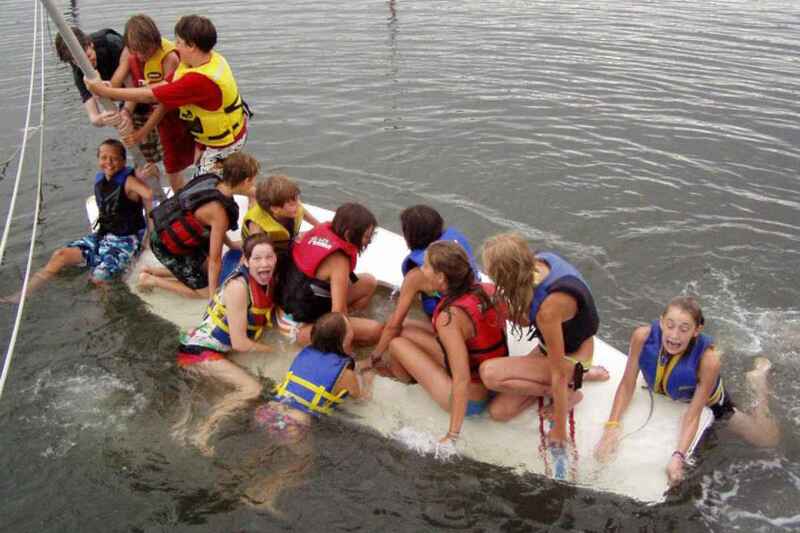 For example, KidShip and Premier Sailing in Irvington, VA find many students by word of mouth; younger brothers and sisters of students join the program, and often, the older sailing siblings become instructors. Many programs are sensitive to the needs of working parents and offer extended care hours, car-pooling, or in-synch adult and youth programs. The best way to find out if a program fits the needs of you and your kids is to call around, ask good questions, and ask for references from other parents so that you can learn about their experiences. You may even be able to visit the facility. Just be sure to sign up early. This entry was posted in Club News by Port Oliver Yacht Club. Bookmark the permalink.